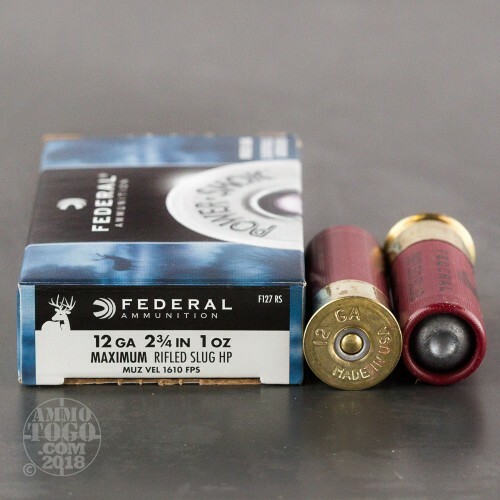 These 2-3/4" shells from Federal are the perfect deer and hog medicine for hunters on a budget! 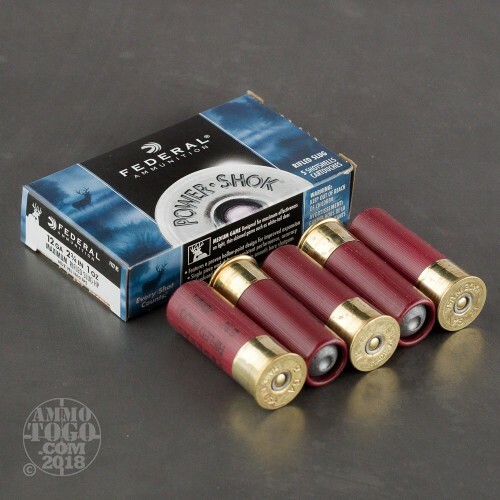 Power Shok 12 gauge slugs are intended to be an economical offering that still pack everything you need to take down big game at appropriate distances with your favorite smoothbore. Each shell uses a non-corrosive 209 primer, a high energy density powder load, and Foster-style rifled slug with a shallow hollow-point. This style of slug is constructed with a heavier front and a lighter tail which works hand-in-hand with the slug's rifling (which causes spin out of a smooth barrel) to provide incredible stability for long-range accuracy. 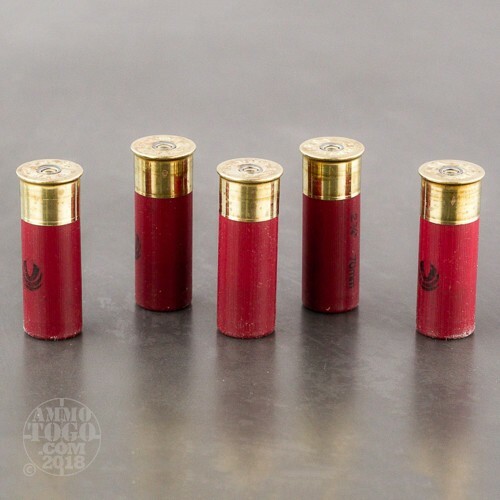 Each slug measures to 1 ounce which is a common medium weight for 12 gauge and provides manageable recoil without sacrificing terminal ballistics. Upon impact, the hollow-point and all lead body maintain momentum through tough shoulder bones while flattening out for massive energy transfer into the target.